Rent an Infinite Photo Booth that can do green screen animated GIF slo mo video photos for your next wedding, bar bat mitzvah, quinceanera, company picnic, corporate holiday party or other special event in the Rockville Potomac Gaithersburg Germantown Frederick Baltimore Silver Spring MD or Fairfax Alexandria Arlington Loudoun VA Washington DC area. 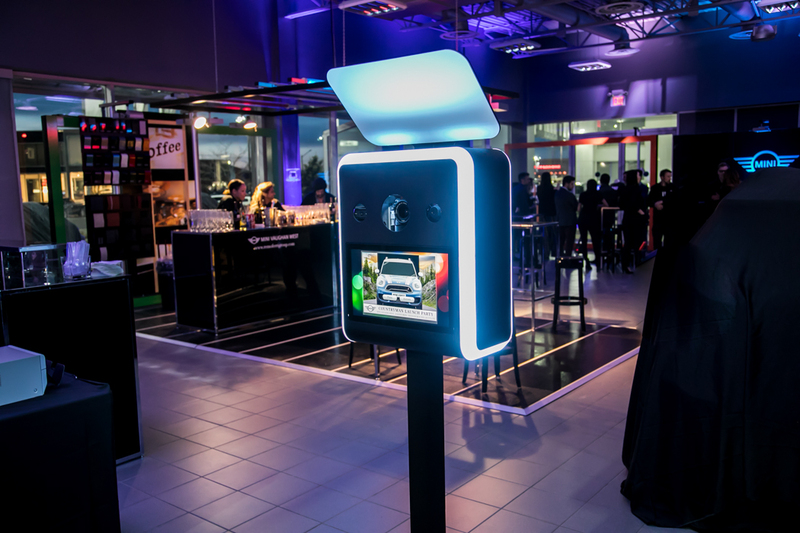 Infinite Photo Booth- The most intelligent, state-of-the-art photo booth features on the market! This booth has everything your guests could want! Includes multiple cameras (SLR, Slo-Mo, and Webcam), LED lights that change color, front and rear touchscreen panels, and ability to brand. Green Screen Photos - Load a number of custom backgrounds and let the guest select their own environment! Animated GIFs - Create multi-frame photo animations with green screen backgrounds, custom logos, and instant uploading to Facebook, Twitter, Instagram, Email, and Print. Light Painting Booth - Guests can draw in mid-air with light and see their creation come to life in real time. Slow Motion Videos -Record 5 second video clips of your guests dancing, jumping, throwing confetti,and shooting off streamers then instantly transform them into ultra slow-motion videos, easily uploaded onsite to social media. Photo Morphing - Transform your guests into another guest, celebrity image, or cartoon. ** Social Media output can be utilized as well - allows instant uploading to Email, Facebook, Instagram, and Twitter from the photobooth’s touchscreen. Includes: Photo Booth, film and 1 attendant.